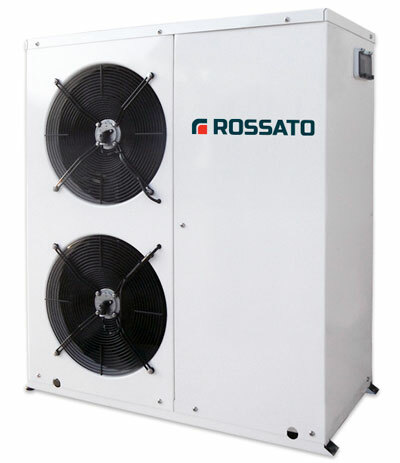 The heat pumps high efficiency Rossato transferring thermal energy from a source at a lower temperature (air, water, soil) to a higher temperature system. They are the ideal solution to reduce environmental impact and save on utility bills. 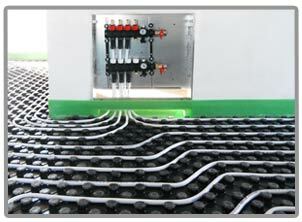 The energy produced by a modern heat pump can be used to heat, cool, and to produce hot water. 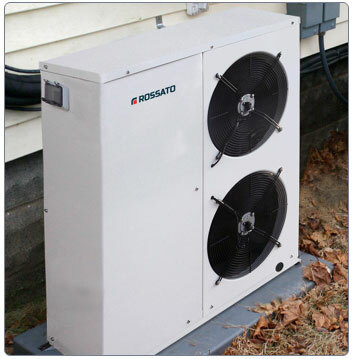 The heat pumps are the technology to have a significant energy saving and environmentally responsible manner. About 75% of the energy required by the heat pump comes from the external environment and the supply of electricity is only 25%. The combination of the heat pump to a heating and cooling ensures energy savings that can go from 40% to 70% compared to traditional systems. 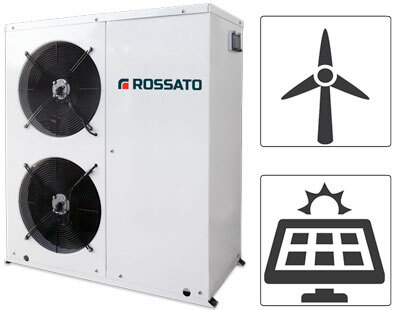 The Rossato heat pumps can cover all heating needs, cooling and domestic hot water drawing from renewable sources. The energy recovered from the external environment is always renewed thanks to the continuous contribution of the sun. In addition, combining the heat pump to alternative sources of electricity, you can achieve complete energy independence. Le Water-air heat pumps absorb heat from the air (even at very low temperatures) and transfer it to the water in the heating system. all year yields stable, due to small temperature fluctuations of the subsurface. Le heat pumps for the production of sanitary hot water exploit the aerothermal energy to heat the water contained in a storage tank integrated, which can have a variable capacity to 100 from 300 liters. 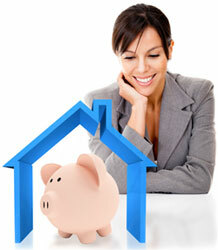 The heat pumps guarantees saving on your bill up to 70% and lie income tax deduction of 65%. 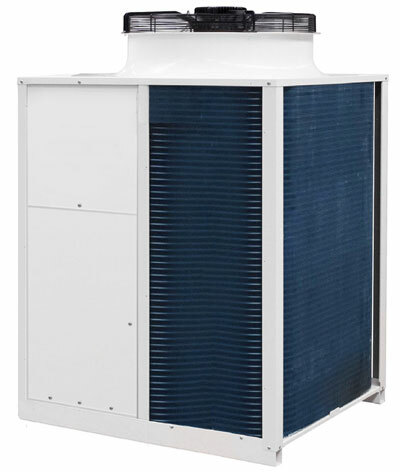 The heat pumps require no gas connection and have no reservoir containing hazardous substances. Units can be set to work immediately, since they already have the mechanical connections and electrical wiring. 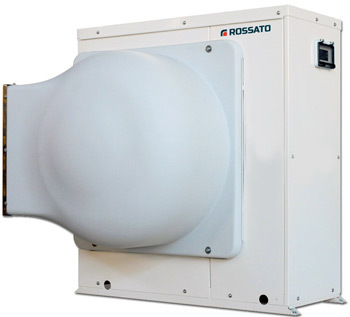 Rossato guarantees its customers 2 year warranty that can be extended up to 5 years. The heat pumps machines are able to transfer free energy present in external sources (air, water, soil) to installations for heating and domestic hot water. The heat transfer takes place by means of a refrigerant circuit with high efficiency with a reduced absorption of electrical energy. 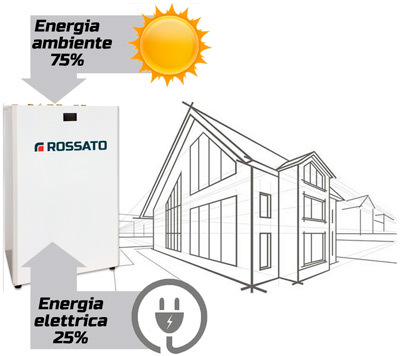 The energy produced by a modern heat pump is used to heat, cool and for produce hot water: In each of these applications about 75% of the energy required by the heat pump comes from the outside and the supply of electricity is only about the 25%. 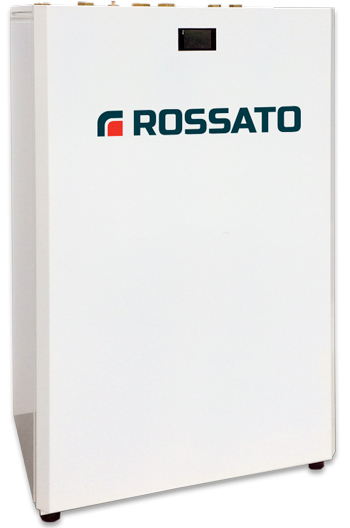 The heat pump is a technology that will replace the traditional boilers. 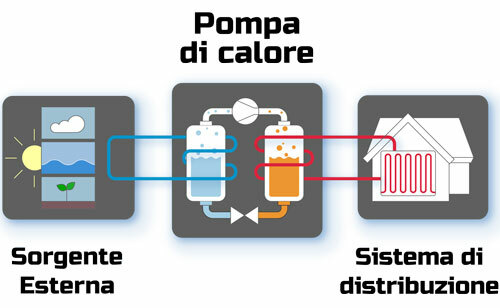 Il operation of the heat pump takes place with a circuit in which flows a cooling fluid. The fluid, passing in a first heat exchanger, Absorbs energy from the external source and then passes to the compressor: this keeps the fluid in circulation and provides an additional intake of energy. In second heat exchanger, energy is transferred from the refrigerant fluid to the distribution system: at this point due to a lamination member the cycle can start again. Operation both in heating and cooling is possible by reversing the heat exchangers and the direction of the cooling cycle operation. The systems for underfloor heating operate with water at low temperature (-25 40 ° C) and are therefore ideal for integration with heat pumps, condensing boilers, etc., and with any technology that takes advantage of renewable energy sources. The efficiency of a heat pump improves the 25% if combined with a radiant system compared to a system with fan coils, both in heating and cooling modes. 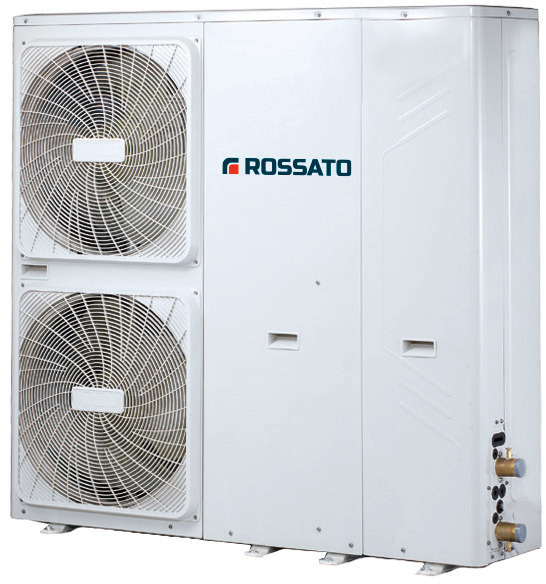 Amongst the radiant systems Rossato Group adds high efficiency heat pumps and control systems aimed to propose an integrated plant system, complete with high performance.